Students write their favorite quotes from a book they are reading independently on this board. The teacher noted that they love using the metallic markers. 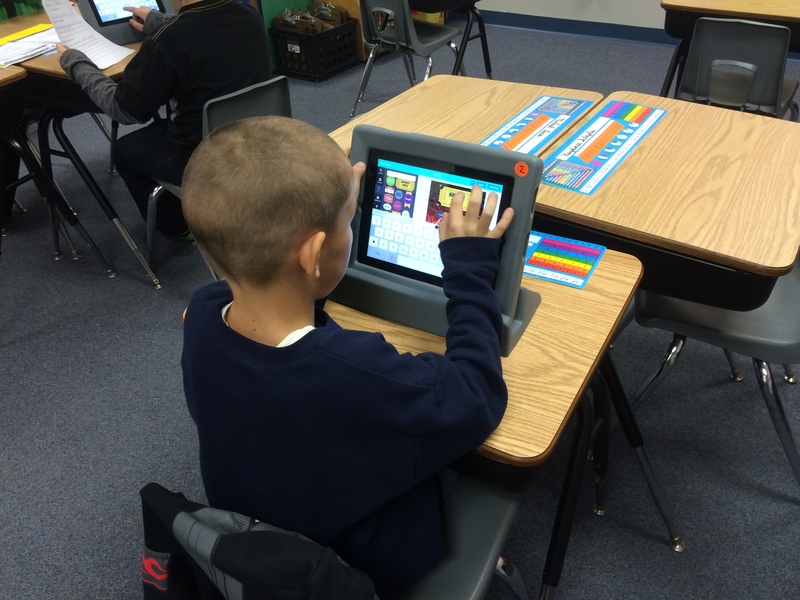 Core classroom instruction is students’ first line of response for reading instruction. On average, students were actively engaged in the act of reading print for just over 1.5 minutes (90 seconds) during a 90 minute literacy block. This finding is consistent with related studies. Choral reading accounted for 90% of all print engagement during the literacy block. The instructional quality of the teacher was not correlated with the amount of time students were actively engaged in the act of reading print. As you can see, kindergarten students at risk of reading difficulties received lots of instruction in how to read, but few opportunities to actually apply these skills. This occurs in spite of the wealth of evidence that there is a “significant positive correlation in time actively engaged in reading and all three major measures of reading achievement (letter-word identification, word attack skills, passage comprehension)”. One surprising correlation the researchers found was the amount of time spent in authentic whole classroom instruction, such as think alouds with authentic texts, and increased engagement in reading print. Conversely, small group learning had a less positive association with engagement in reading print. The researchers suspected that while the teacher was meeting with one small group, the rest of the students were doing busy work such as worksheets so he/she could teach. Four university professors offer a clear framework for scaffolding inquiry-based units and assignments in online spaces. They suggest using a gradual release of responsibility when teaching students how to find, curate, and synthesize information from websites and resources beyond their classroom: Modeled inquiry, structured inquiry, guided inquiry, and open inquiry. By using structures and scaffolds, several benefits are realized. First, students are given more choice and voice in their school work. Second, teachers are better able to assess whether students are learning and how deeply they have learned the content and skills. Third, families have more access to their child’s progress and final products. Finally, by posing questions as checkpoints along students’ learning journeys, thoughtful reflection can be nurtured and taught when exploring online resources. This curated list of tweets documents the important points made by Donalyn Miller, author of The Book Whisperer and Reading in the Wild. She spoke passionately about the essential elements needed to grow lifelong readers in schools today. Here are a few of the more popular statements, based on the number of favorites and retweets. This presentation by a professor of literacy and assessment at the University of Maryland questioned the usefulness of assessments for promoting deep reading habits. Standardized tests and test prep were specifically targeted as having negative influences on reading achievement during Dr. Afflerbach’s session. Perry, a self-described “author, humorist, and intermittent pig farmer”, describes the sounds and setting of a day in his life. His youngest daughter was not feeling well. With a pile of books and a box of Kleenex on hand, the rest of the family did their best to go about their day quietly while attending to her needs. The sounds are backdrop and domestic, deepening in this feeling that in this moment we – the family – are in communion despite our silence. He concludes his commentary by admitting that there was nothing profound about this “most unassuming sort of evening”. Perry also finds that slowing down and appreciating the present can bring about unique insights. Joy is elusive, and joy is fleeting. And yet – and this may be the premise of the riddle – those who chase it rarely catch it. In public education, there is a strong demand for accountability. Just like in the article about online inquiry projects, there is this need to know what the students were learning and how. On the other end of this spectrum is what we know about learning: that the results of our efforts don’t always appear on a predetermined date. This is especially true when we apply practices that don’t initially appear, at least to the uninformed, to be making an impact on student achievement, such as sustained silent reading. This practice of allowing students time to read and think about a text of their choosing may go against the grain of what we may believe about education. “If I am not teaching, then the kids are not learning.” It is true that teachers are the most important factor in a classroom. Yet students learn independently all the time. An example is video games. The manuals that come with the games when purchased are sparse and provide the most basic amount of information. The game designers know that much of the learning will happen while the users are actively engaged in playing the game itself. The same thing often happens when students are independently reading. Given the proper amount of instruction, choice in what to read, access to lots of interesting texts, and time to read and think about their reading, students can often teach themselves how to navigate texts. It can happen even when the comprehension waters get a little choppy. This type of reading environment, so well described by Donalyn Miller, also is a benefit to teachers. It reduces stress, puts more responsibility on the student, and helps the teacher focus on the reader instead of just what they are reading. The question still remains: How do we know students are making gains and improving as readers when we give them time to read? Too often, classrooms overuse choral reading so teachers can hear the progress students are making, especially in the primary grades. There is also the all-too-real pressure of the looming standardized tests. Based on what I heard at the Wisconsin State Reading Association Convention, these tests are an incredibly poor tool for assessing student and teacher performance (no surprise). And yet, we still use them. So what is the solution? For teachers, I suggest blocking off at least 20 minutes, and preferably 30 minutes, for uninterrupted daily free choice reading. 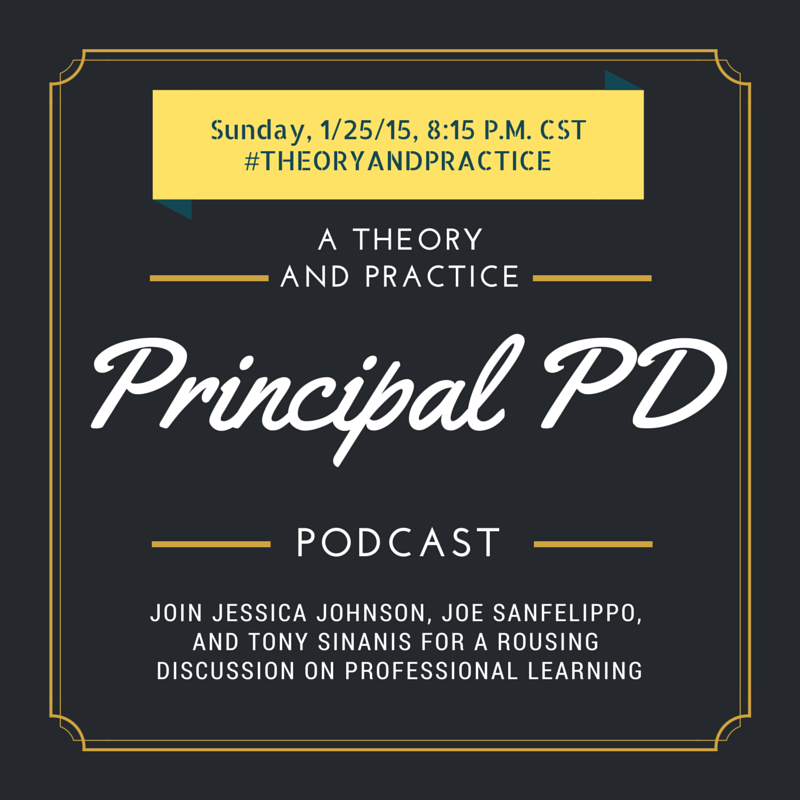 If your principal questions this, share the research highlighted in this post with him/her. I also recommend checking out publications by Stephen Krashen and Richard Allington. For principals, be thoughtful about scheduling. Give teachers time to allow for these extended periods of silent reading. Reduce or even eliminate announcements. Above all, limit test preparation to the bare minimum. Michael Perry didn’t provide a quiet environment for his ill daughter because someone told him he should. He did it because it was the right thing to do. We also know what the right thing to do is in our classrooms and schools. By giving students the space and place to be the readers and thinkers they want and are meant to be, we prepare them not only for the test but to be lifelong readers. 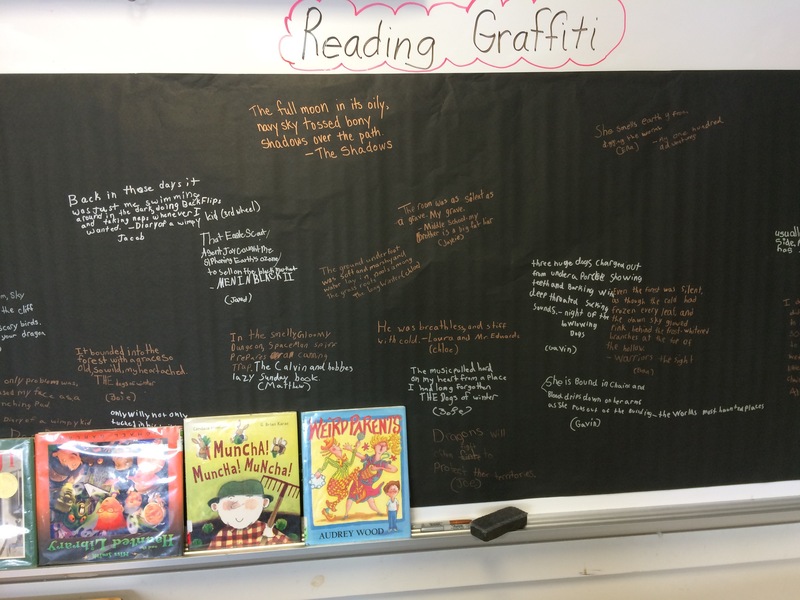 The 4th graders shared their favorite book quotes on the graffiti board not because it was required, but because the teacher provided them with the time, texts, and permission to do so.